Looking for a weekend getaway or even just a day trip close to Atlanta? Look no further than the mountains and wineries of North Georgia, known for its small but award-winning vineyards producing a variety of European style wines. 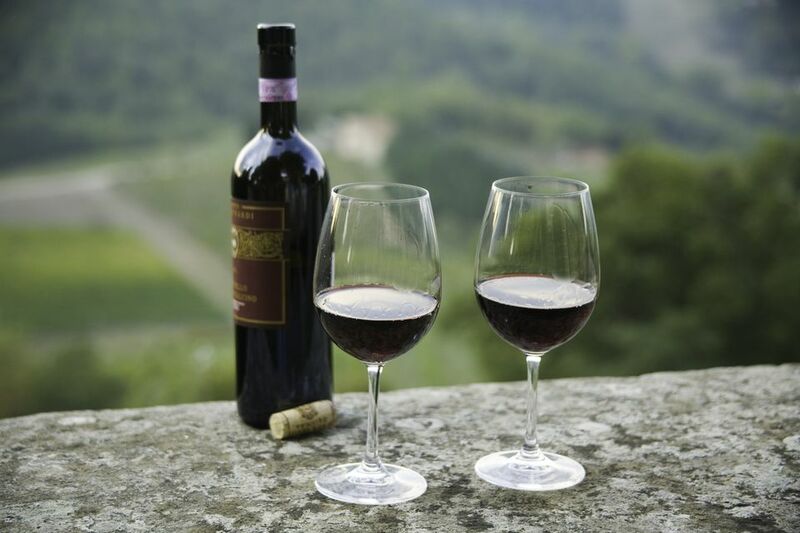 The mountain climate makes the soil ideal for winemaking as well as a picturesque setting for sipping and tasting. Here's a guide to the best wineries, tours and tastings in North Georgia. One of Georgia's oldest winemakers, Habersham Winery has been producing wine since 1983. Sourced from two vineyards, Habersham produces under three different labels and offers a mix of wines ranging from an oaky, buttery chardonnay to a Scarlett dry red blend that's a mix of blend of 59% Chambourcin, 27% Syrah and 14% Vidal. Tastings are $7.50 a person and include five wines and a souvenir glass. Take advantage of the gift shop, which has gourmet foods, imported cheeses and other treats perfect for picnicking in nearby parks and trails. Founded in 2005, Yonah Mountain Vineyards, is one of Georgia's newer vineyards and offers a 90 minute walking tour and a visit to one of the state's only wine caves on Saturdays at 12, 1:30 and 3 p.m. and Sundays at 1:30 p.m. The $40 experience must be booked in advance and includes samples of eight current releases, like Merlot, Sauvignon Blanc and a Rosé. Want an even more intimate experience? Book the Reserve Tasting, available the second Sunday of each month from February to October. The $100 experience must be booked in advance and includes a seating comparison tasting with owner Bob Miller along with gourmet cheese and charcuterie pairings. The vineyard also offers a wine club, whose perks include pre-release purchases, access to library and reserve wine releases and invitations to special events. This ten acre, fifth generation outfit in Rabun County Georgia just over south of the North Carolina border produces award-winning traditional dry wines in the European style, plus three red blends and an award-winning semi-dry as well as a rosé and a late-harvest dessert wine. Call ahead to book a tour and tasting or visit the on-site restaurant, the Red Barn Café, to sip on wines and eat lunch or dinner with views of the mountains on weekends from May through November. The vineyard also has a satellite tasting room, Naturally Georgia, in Dahlonega, which offers tastings with cheese pairings Wednesday through Sunday. Achieving Georgia’s first ever Gold medals at the prestigious San Francisco Chronicle and Los Angeles International Wine Competitions, Wolf Mountain Vineyards & Winery has set the bar for East Coast wine production. The antique wine library and cellar displays an array of 19th century French wine artifacts, which is a beautiful backdrop for wine tasting or enjoying a meal from their extensive menu. Guided winery tours are offered at noon on Saturdays and Sundays March through November and are $40/per person. Wine tastings are $20/per person for the estate tasting flight and $25/per person for groups of eight or more, which must be booked in advance. The tasting room offers snacks like pizzas, charcuterie plates and assorted snacks. With over 28 acres of vines, Dahlonega-based Frogtown Cellars produces wine from more than 15 different grapes, including Cabernet Sauvignon, Chardonnay and Viognier. The tasting room is open from 12 to 5 p.m. Mondays through Fridays, 10:30 a.m. to 6 p.m. Saturdays and 12:30 to 5 p.m. on Sundays. Don't miss the on site Italian Bistro, open for lunch and dinner select days, which serves pizzas, paninis and other snacks perfect for pairing with the vineyard's wines. With sweeping views of the North Georgia mountains and more than 10,000 vines producing grapes from Cabernet Franc to Pinot Blanc, the family-owned Three Sisters Vineyards & Winery offers walk-in and by appointment tastings for $17.50, which includes tastes from the Vintner's Tasting menu and a choice of five wines. The property also includes a folk art gallery and a rock wall patio for soaking up mountain air.